Good morrow, my fellow book people. Have you ever wondered what makes us readers vs. writers? What pushes some of us with the desire to write to actually break free and begin writing? 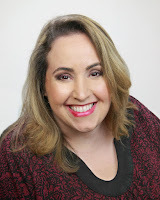 Today's guest, is MJ Markovski, author of Whatever It Takes and she'll be sharing with us what pushed her into writing and provide some insight into Whatever It Takes and a few of her other books. I hope you'll enjoy her story. Thank you, Ms. Markovski, for taking time away from your writing to visit with us today. My name is Marija (Maria) Salapanov Carpenter and I'm writing as MJ Markovski. I became disabled in 2009 after one exasperation from MS that doctors at that time had thought I would die. But here I am in the worst of that I'm in an electronic wheelchair for mobility. I looked at it as God's way of giving me more time to write. There are two things you should know about me and these two words describe me very well: tenacious and complicated. I wrote two stories during my recovery which I will be submitting to my editor for review and they came to me and dreams. One titled, Not Dark Enough and the other one titled Worse Than Bad. Both are dystopian young adult fantasy novels. 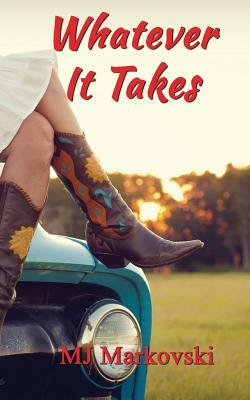 But my latest book that was published is titled Whatever It Takes. This was spurred upon a dream but completed when my husband at that time had not only left me but my children. On the run from a dark conspiracy she uncovered while working as a law clerk in New York, Regan Argent, a whip-smart but naïve Texas girl, seeks refuge in her hometown of Parker, just this side of Dallas, where she meets Hunter, a pararescue man on leave who is trying to enjoy a rare moment of quiet. But when Regan's past catches up to them, they'll be faced with a choice: save each other, or die trying. Okay here's a snippet from chapter 3. "So help me, if I find out who you are. I'll slap a harassment suit on you so quick it'll set your head spinning." "I can see you. I can see you're scared." The caller hung up. Whatever It Takes will be known as The Takes Series. I am a proud mother of two wonderful children. Technically three because my son is engaged to a wonderful woman who I call my daughter-in-law. Besides the books here mentioned what I am planning on writing in the near future are two futuristic science fiction young adult novels. One about a boy that's caged by the CDC. The other boy whose soul is ripped from him but the choice he made and now must wonder his existence and find the soul he was supposed to save before he completely loses his humanity. Needless to say, I plan to be a writer as a career forever! Thanks for allowing me to be a guest on your blog. MJ graduated with her Masters from the University of Phoenix in Accounting. She's worked with government contractor as a Financial Accountant as well as an advisor for taxes. She ran a small business of doing taxes for family and friends for a while in the early 2000s then stopped because of the MS exasperation that landed her in the hospital. But when she regained her health, she put that business aside and she began seriously writing. That self-run business reignited her passion in her writing and to help others as well when the opportunity comes to help other fellow writers. MJ enjoys spending time with her family and friends when she can, loves reading, watching a movie once in a great while with her daughter, spending some time outside (when it's cool and not in the heat of Arizona) life is full of complications but every morning getting up in writing with her vitamin smoothies and coffee is a perfect start of the day. Regan Argent inwardly uncovered a dark conspiracy that has her on the run. Forcing her to return to her childhood home, a small town just outside Dallas, to seek refuge. Unexpectedly, she bumps into Hunter Grainger, a man she never saw coming. An Air Force pararescue man, with only one person who is supposed to know of his return home. The unexpected meeting ignites a chain of events where they will be forced to help each other or be executed.